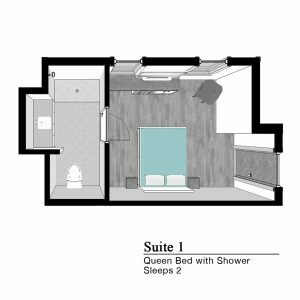 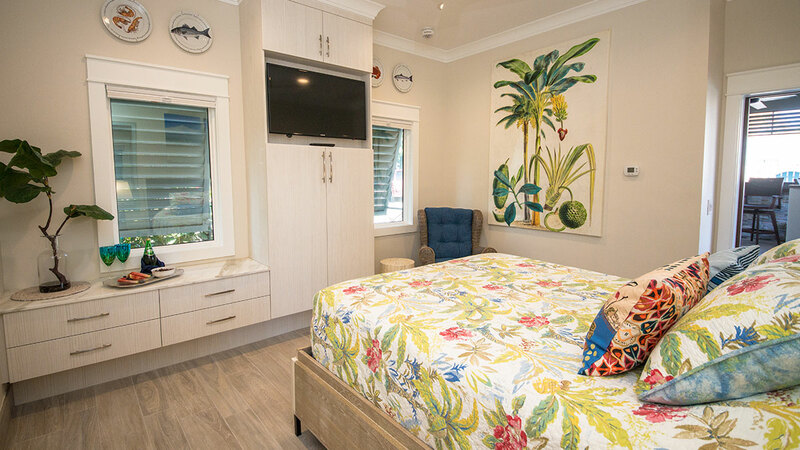 Guests will enjoy the comfortable and colorful accommodations for 2 guests in the modern and tropical atmosphere of Suite 1. 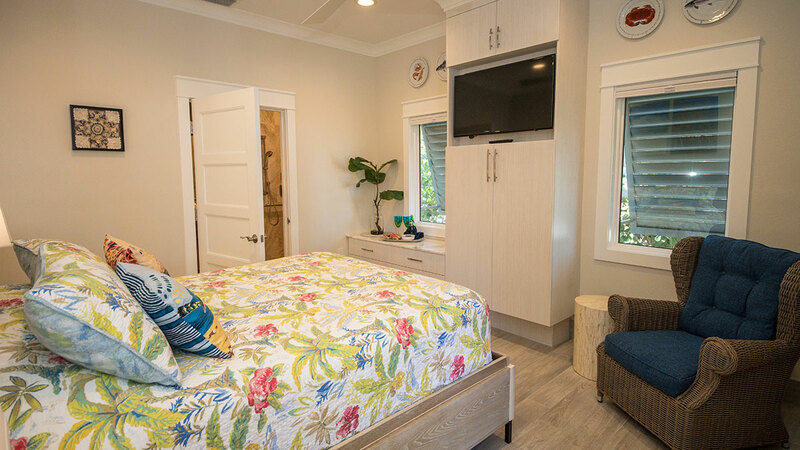 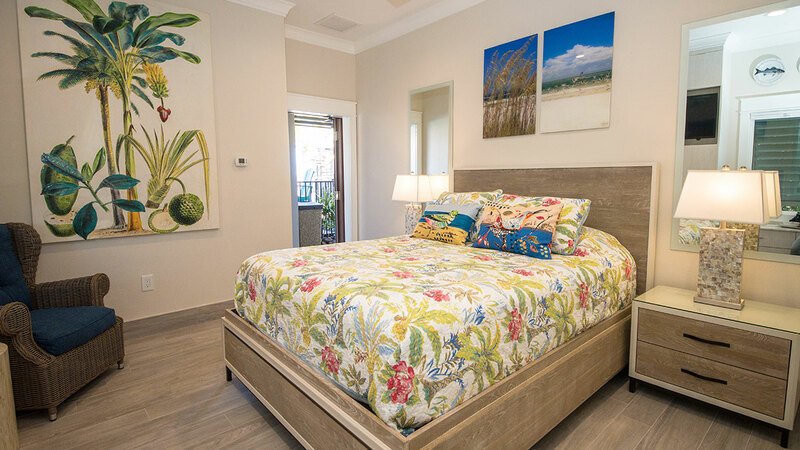 Built in cabinetry and TV provide ample storage for your vacation belongings and furnishings including local photography and artwork which makes you feel right at home on our tropical island. 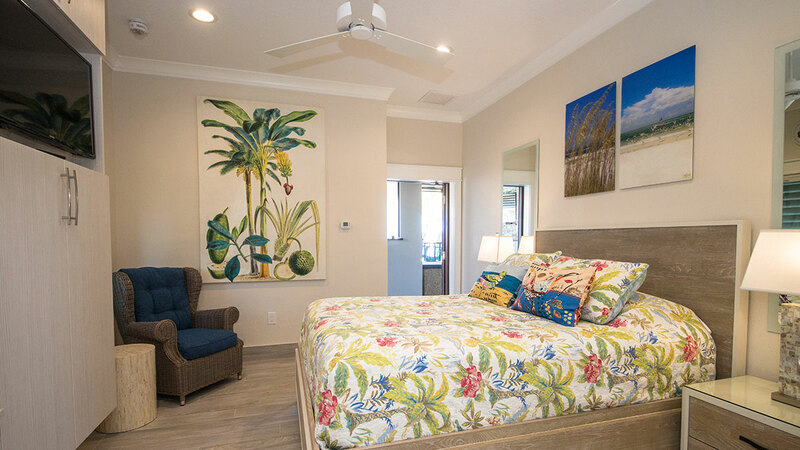 Imagine the comfort of cool pressed 600 count linens, feather pillows, and airy 100% cotton bedding as you settle in after a day of island adventure, fun, and relaxation. 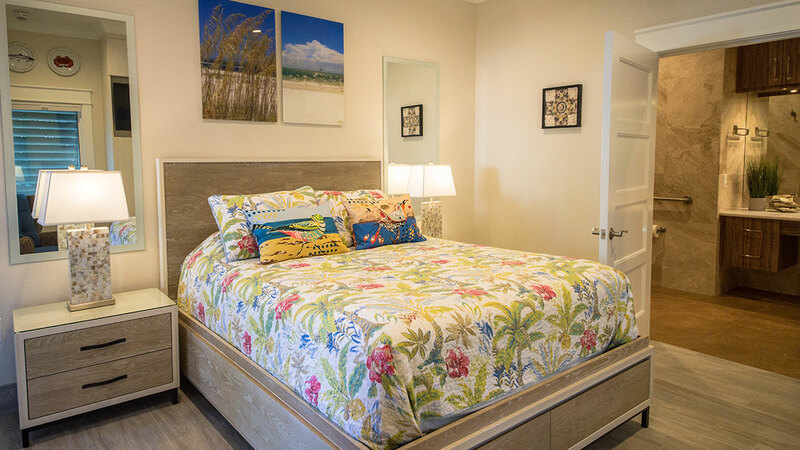 Our rooms provide complimentary toiletries, beach towels, and an island guide so that your vacation and pampering can begin as soon as you walk through our door. 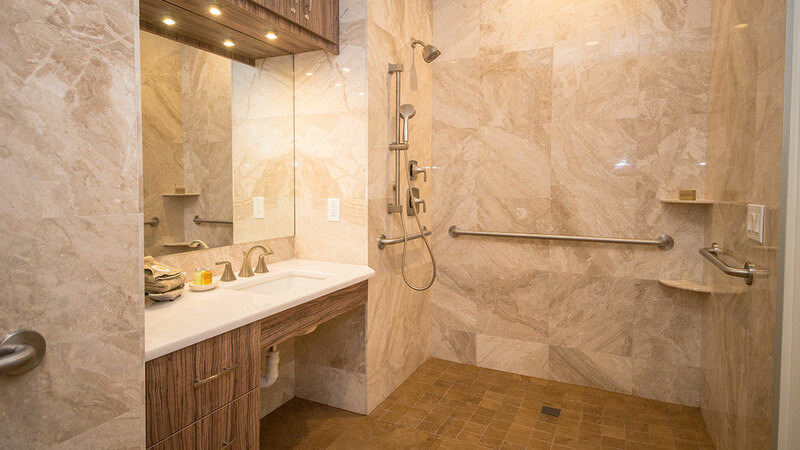 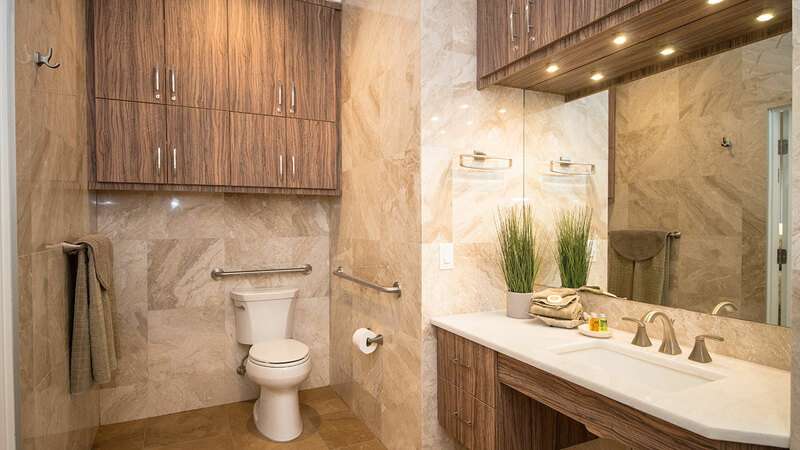 The large floor to ceiling marble shower has plenty of room for two and is also handicap accessible.